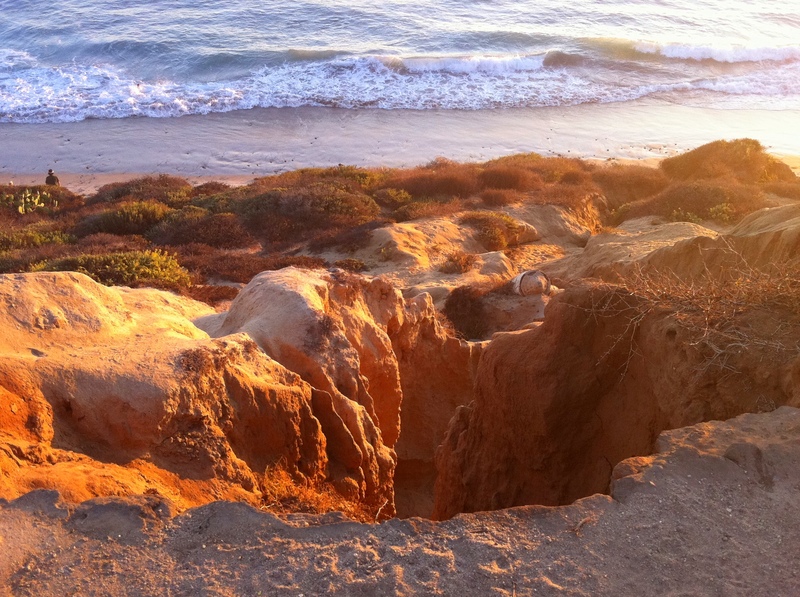 This entry was posted in photography and tagged beach, cliffs, ocean, sand. Bookmark the permalink. How I agree with the unknown person. The light is lovely in this shot. I wish I knew who “Unknown” was! That looks like quite a sinkhole there. Have you been on the site picmonkey.com? You can add all kinds of interesting effects to your photos. It’s addictive. Yes, it’s quite a crater. There are a lot of unstable but beautiful cliffs in San Diego County near the beaches. A few houses have been lost that way. This is so gorgeous…. wish I could be there, sitting on the sand. I love water and how it makes me feel!